Sometimes we parents need a little more guidance than we can get from reading books and websites as we learn about the Montessori approach, and so I am here to help! During a home consultation I will visit your home to give you 1-1 advice and information based on your child and families needs, and answer your questions. And yes, it’s perfectly fine to have your child with you, in fact it’s really helpful! I have developed some popular consultation topics to choose from, based on FAQ’s from families. For those needing something else, just let me know what you need. There is a contact form at the bottom of this page which will come straight through to my email address, or you can contact me on Facebook, SMS, or call me too. Don’t forget to check if our Montessori Playgroup has a Montessori for Dummies session coming up soon, as this will give you an excellent overview of the Montessori approach, and a heads up before your home consultation! Which Montessori materials and activities suit my child’s stage of development? How do I decide when to introduce them? How could I structure my child’s day and their physical environment? How can I use the Montessori approach to support my child to gain toileting independence? How can I do this without the use of bribes, rewards, punishments, tantrums, & negative emotions? What’s the difference between toilet training and toilet learning? How can I create a Montessori environment for my child at home? What are some specific suggestions for my rooms? 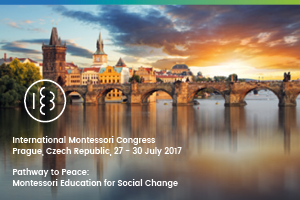 How can I use the Montessori approach to guide my child’s behaviour with respect and long term effect? Why shouldn’t I praise or punish my child? Why shouldn’t I correct my child? How can I support my child to develop self-esteem and self-regulate? What are tantrums really about? What should I do when my child is having a tantrum? What are some strategies can I use to prevent or minimise them? How can the Montessori approach support my babies development from birth? How should I choose furnishings and toys for my baby? What Montessori activities can I do with my baby? How do I prepare our ‘nest’ for our new baby? Home consultations are available in person south of Perth, Western Australia, and for those who are not close by, skype consultations are available too and are very effective! They generally take around one hour and are usually just $80. I Would Like Support With(required) What to Do All Day?